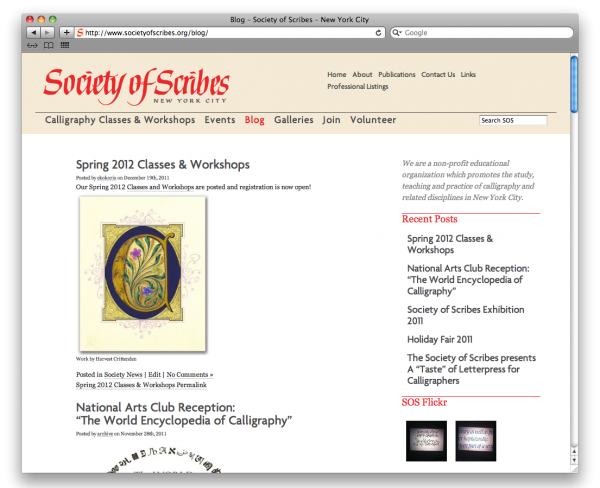 As part of the Society of Scribes redesign we created a new logotype, working with master calligrapher Alice Koeth, founding member of the organization. The new logotype references the original lettering created for the organization in 1974, but has been completely retooled and redesigned in the horizontal orientation for more effective and consistent use across print, web, and digital communications. 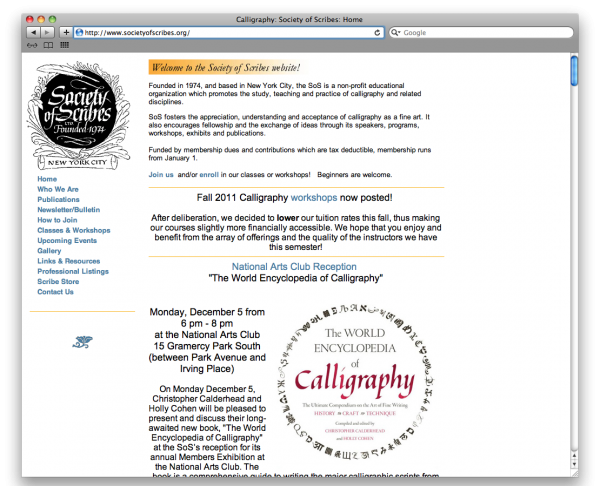 With the new website, our goal was to build a more inclusive, interactive environment for the membership while creating an online destination for the calligraphy community at large. 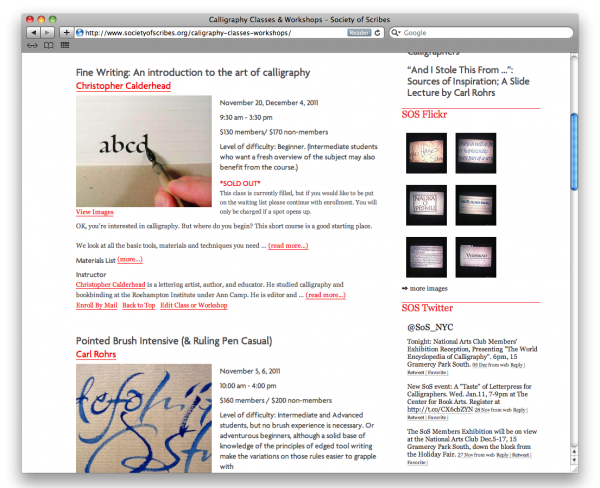 This involved integrating dynamic elements to the site such as live flickr/twitter feeds and a blog, as well creating a space for academic resources and publications on calligraphy where out of print material will be digitized by the organization and shared with those interested in learning about calligraphy. 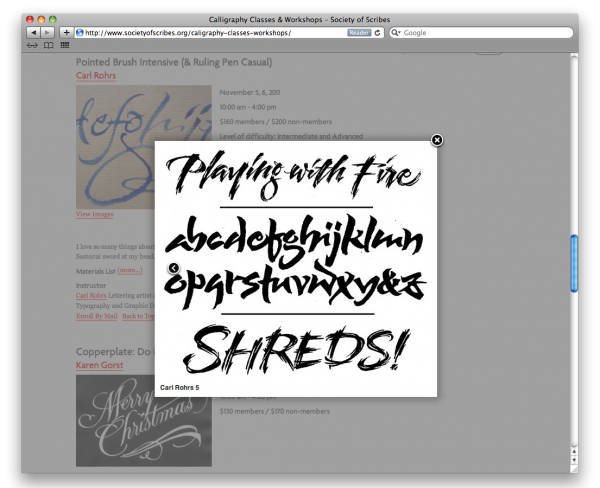 For the site’s typography, we chose the humanist sans-serif Agenda by Greg Thompson (Font Bureau). 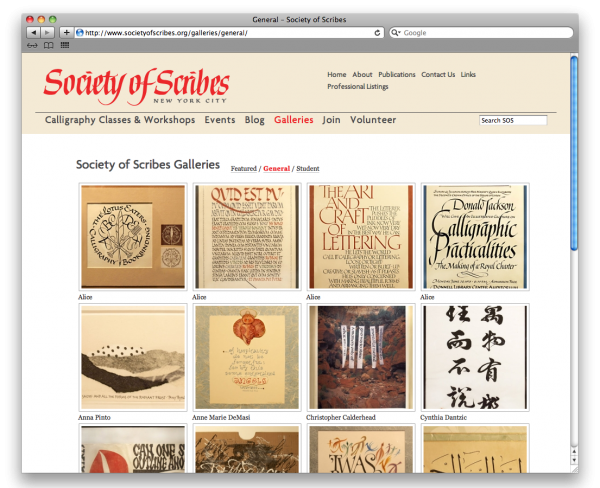 As it is based on the work of Edward Johnston, considered a father of modern calligraphy, it is sympathetic to the calligraphy showcased on the site while remaining firmly typographic and not competing with the calligraphic work. For the serif type we chose Georgia by Matthew Carter (Font Bureau) for it’s high level of craftsmanship and readability on screen at small sizes. As an organization focused on the lettering arts, the fine details of the logotype required special care. 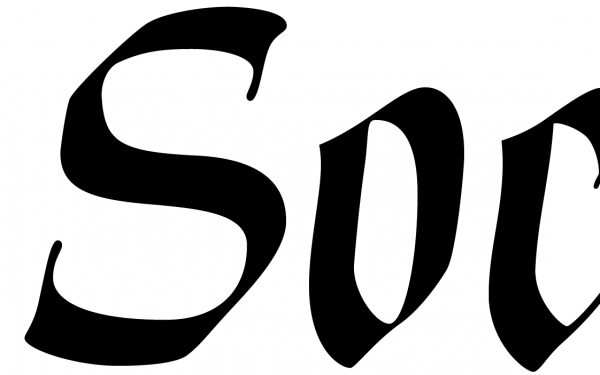 Precise attention was given to the width of each letter depending on its surroundings, for example the “S” in Society is not the same as the “S” in Scribes, all to create a balanced effect across the logotype. The same was true for the spacing between the letters, adjusted contextually and done according to calligraphic spacing conventions (which are in some ways different from typographic spacing conventions). Additionally during the digitization process we made sure to precisely capture the letterforms while maintaining the warmth of the original calligraphy. 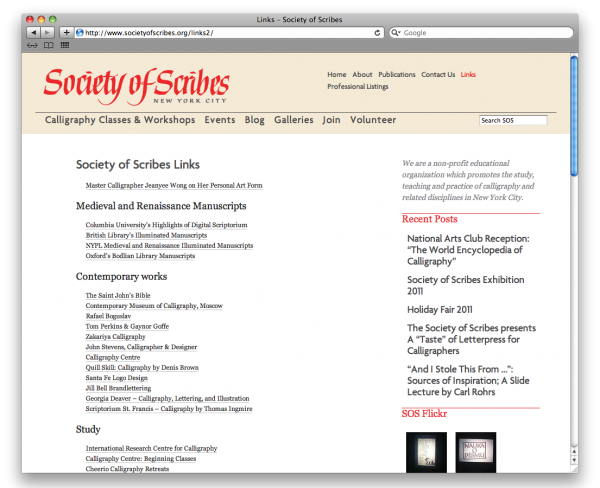 Special thanks to Alice Koeth, Society of Scribes Founding Member, and Cara DiEdwardo, Society of Scribes President.